For over 26 years, this event has been organized and held in China and has attracted leading companies in the food industry to participate. 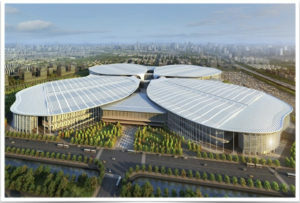 FIC 2018 will be held at the National Exhibition and Convention Center in Shanghai. Those in attendance can expect to see over 35 categories of ingredients and 23 types of additives exhibited. Tens of thousands of food industry professionals will be in attendance. Come and learn from leading food industry experts by participating in lectures, technical seminars, forums, and technology launch events. Network with suppliers and buyers from around the world and attend a variety of knowledge enhancing events. Share advances in technology, learn about the latest food consumption trends, and learn about the latest food ingredients and additives now available. This is a one-of-a-kind event which will connect you to the right suppliers, exciting new products, and spark your creativity. Gain insights into the latest trends in food development and experience all that Shanghai has to offer. 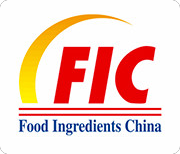 Interra International will be exhibiting at FIC. Meet with our industry experts at booth #61N22 and let us help you find the right ingredients for your business. Contact Interra for more information or to schedule some time to discuss your food product sourcing needs.